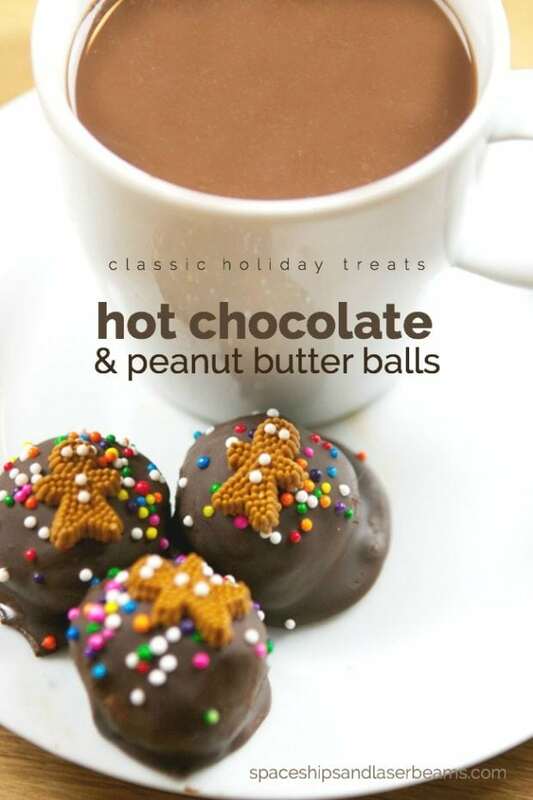 Somehow those fond memories have infused every cup of hot chocolate with comfort and delight—especially if there are marshmallows on top. I have become more discriminating however and admit that all cocoa drinks are not created equal. A new one to try and enjoy this year is the International Delight offering. They are introducing their versions of Milk and Dark Hot Chocolates as well as Original and Vanilla Egg Nog. I picked up a carton of the Dark Hot Chocolate and I’m here to tell you it tastes good even while it’s cold. A quick warm up in the microwave to take it to truly hot chocolate also satisfies. 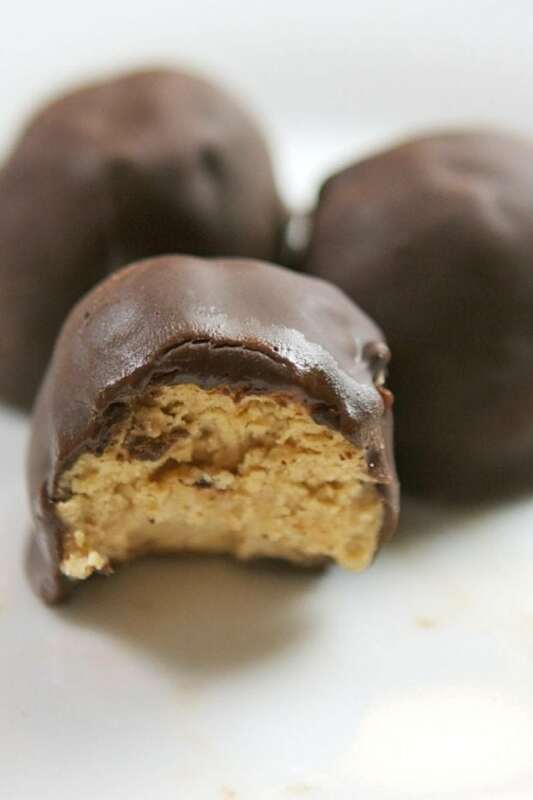 For a special treat I made chocolate covered peanut butter balls to nibble while we drank our hot chocolate—another holiday tradition at our house. 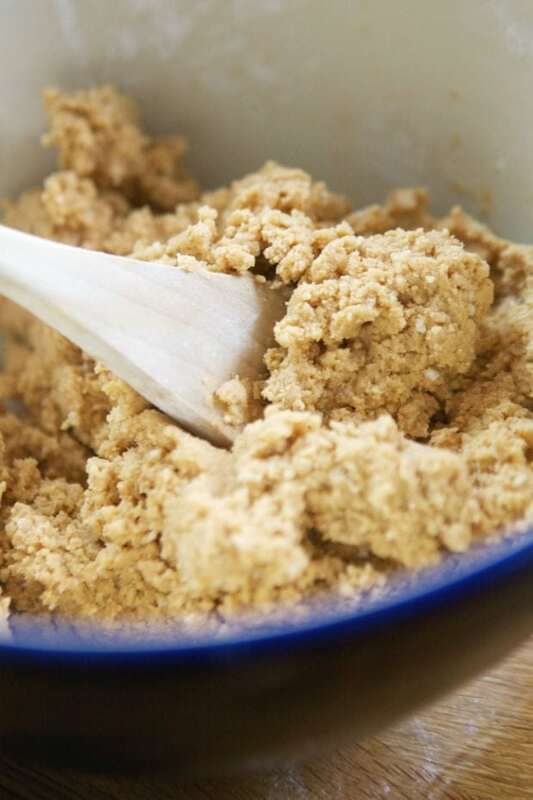 This classic recipe is a family favorite! 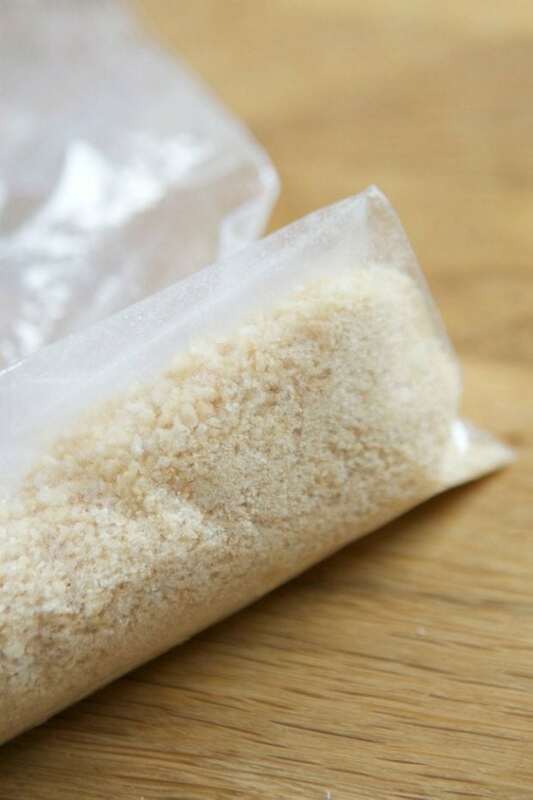 Place cereal in a baggie and use a rolling pin to crush it. 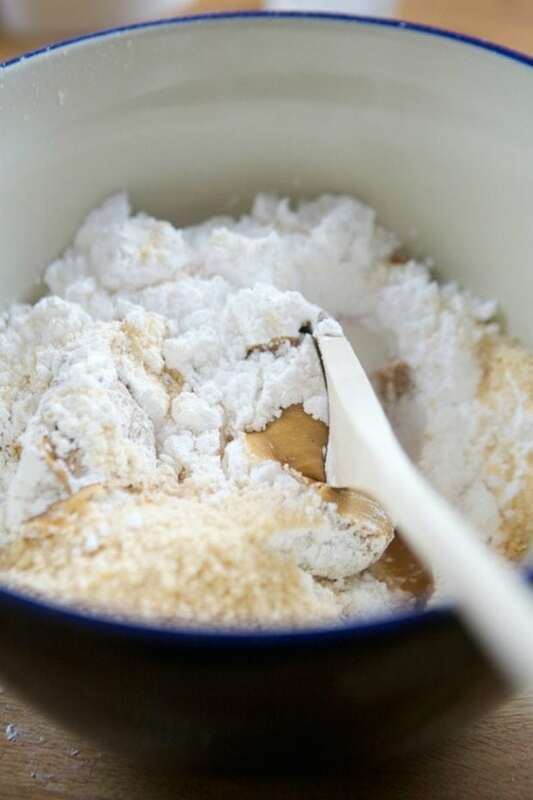 In a medium bowl, add peanut butter, butter, powdered sugar and crushed cereal. Mix until completely combined. Roll into small balls. Place in fridge for at least 2 hours. Melt chocolate chips in the microwave 2/3 cup at a time. 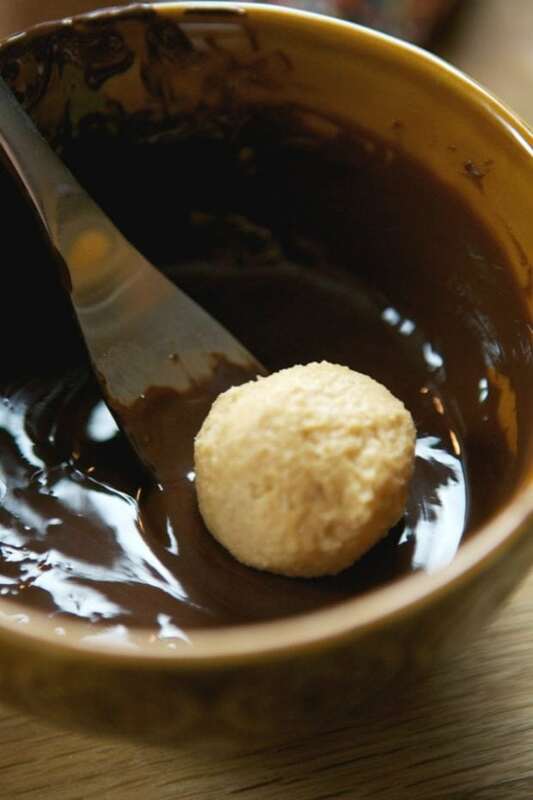 Add a splash of corn oil to melted chocolate, if needed, to thin it out. 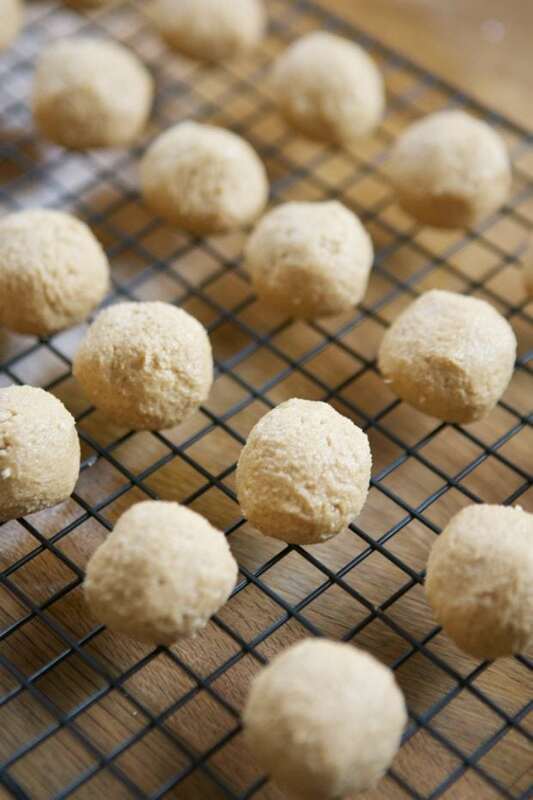 Roll balls in melted chocolate and place on parchment paper. 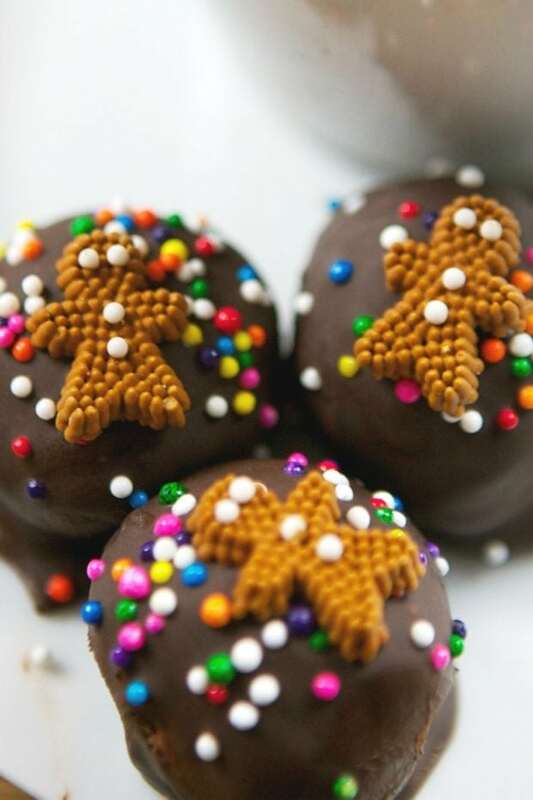 Add the sprinkles and gingerbread men candy while the chocolate is still wet. Ready to eat when chocolate is set! Anything with peanut butter and I am in!! I cannot wait till weekend to try this.